Our intern, Rhesa is supplementing her natural landscaping education by attending the series of workshops available by the East Multnomah Soil and Water Conservation District. She will be sharing a brief summary of each workshop with you in the coming weeks. In this 4 hour workshop, a very knowledgeable professional landscaper provided all the information you need to get started on creating a rain garden. The workshop was structured to provide general information as well as information specific to attendees particular landscaping needs when possible. There was also a wealth of materials provided to guide the process and choose the right types of native plants for your space. The main benefits of rain gardens center around improving stream water quality, while reducing erosion from heavy rains. Rain gardens act as a catchment area to allow slower filtering of rainwater to the water table instead of flowing directly onto the streets and into the stormwater drain system. This prevents street pollutants like petro-chemicals and heavy metals from contaminating the water. Of course, the eye-catching aesthetic of a well-planned rain garden are a big motivation for most property owners. 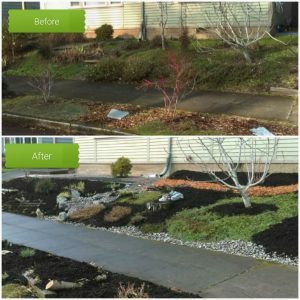 Additionally, if you are a residential property owner in Gresham, you can receive a financial incentive for adding a rain garden to your landscape. Assessing your site for suitability. Most of the workshop focused on how to assess your site. We learnt how to assess the slope in the workshop, as a slope greater than 10% can pose a risk of landslide and would require a permit. We also learned how to assess the soil drainage as the purpose of a rain garden is to catch the water but not drain so slowly that it becomes a pond. Another consideration is the size of rain garden you would need, which is calculated by estimating 10% of the square footage of total impervious surfaces on your property. The specific location of your rain garden is another important consideration as you are required to place it so that it is at least 5 ft away from your property line, 3 ft from sidewalks, impervious driveways and walkways, 10 ft from any retaining walls and at least 2 ft from your foundation if you don’t have a basement, but 10 ft away from the foundation if you do have a basement. Some of the workshop focused on choosing the right types of plants. For example, consider that the plants at the bottom will need to be tolerant of wet conditions, so some suggestions included rushes and sedges as well as Camas bulbs and shrubs or trees like red twig dogwood. An emphasis on carefully avoiding any invasive plants was made because of the likelihood of spreading these nuisance plants whenever there is an overflow from your rain garden. Native plants are highly encouraged as these require little care, and can often be drought tolerant for our very dry summer conditions. 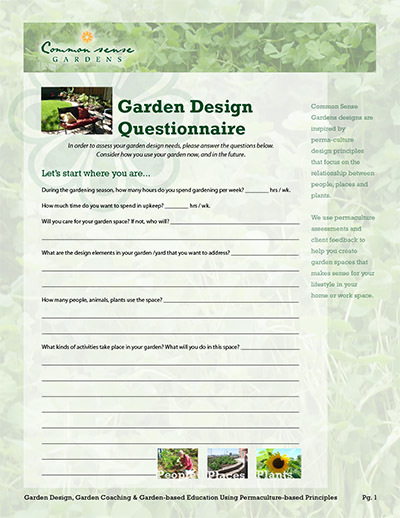 If all of this information give you anxiety, let a professional landscaper plan and implement your rain garden. 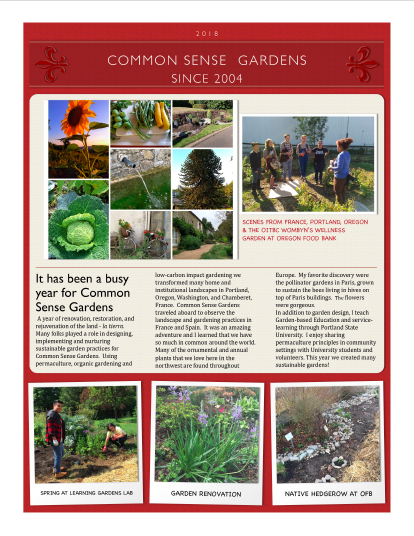 We at Common Sense Gardens would be happy to help! EMSWCD Workshops are highly recommended. These workshops focus on resource conservation and preventing pollution in our urban areas. They can be very useful for anyone with an interest in naturescaping and stewarding their property with an eye to environmental preservation in their own backyard.